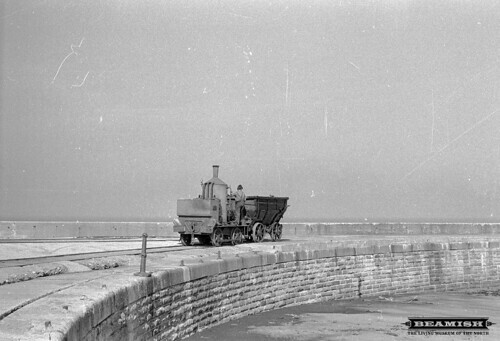 Coffee Pot loco and chaldron wagon at Seaham Harbour while being filmed for "Ascent of Man". This is the Beamish Coffee Pot loco taken there especially for filming - it never worked of Seaham Harbour coming from Dorking Greystone Lime Co Ltd. Alan Grimes and John Kitching driving loco. Photo Number: 7936 Date: 1971 From the http://www.beamishcollections.com/" >Beamish Collections.